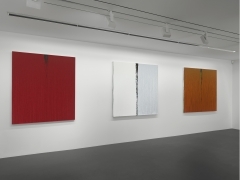 Beginning February 9, Vito Schnabel Gallery is pleased to present Pat Steir: Paintings, the gallery's first exhibition with the acclaimed American artist. Extending the aesthetic investigations of her hallmark Waterfall paintings of the late 1980s and 1990s, the exhibition features ten new paintings from her recent Split series, which are distinguished by a central vertical ‘split.’ These works further her exploration of gravity, time, and fluidity, and speak to a profound refinement in the arc of the artist’s nearly six-decade career. 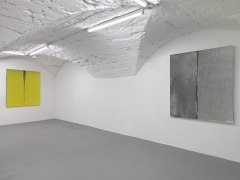 The exhibition will also feature a painting made in 2013 from the same series. 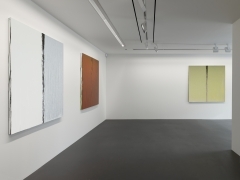 On view through April 7, Pat Steir: Paintings, is the artist’s first solo painting exhibition in Switzerland in three decades. It coincides with Silent Secret Waterfalls: The Barnes Series, a major commissioned installation of monumental paintings by Steir on view at the Barnes Foundation in Philadelphia from January through mid-November 2019. Steir’s latest canvases reveal an artist at the height of her powers, probing the history, theory, and materiality of her medium to create an ineffable effect that is visceral and complex. The compelling progression of her style and life-long commitment to non-objective painting are here manifested in the way the artist both relinquishes and harnesses control in a process of ‘letting go.’ Her signature technique of pouring, dripping, and flinging paint abandons the brush and surrenders her material to its own accord: to fall freely and allow the impetus of gravity to transform paint’s trajectory and unrestricted flow. 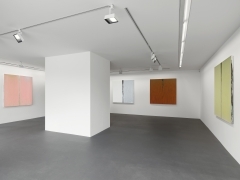 To quote Steir, ‘Chance can give you a gift.’ That her new paintings are being presented in St. Moritz, within a context of a magnificent natural Alpine world in which nature is in constant motion and reconfiguration, seems particularly fitting. Grounded in conceptual dialectics, Steir’s process of making is guided by an intuitive relationship to material exploration and balances the dichotomy of rigor and chance. 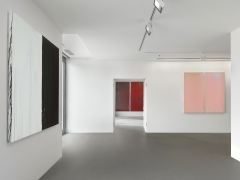 Modestly scaled, the five foot square canvases on view at Vito Schnabel Gallery arouse a meditative stillness, sensuous intimacy, and opulent intensity of visual abstract fields. 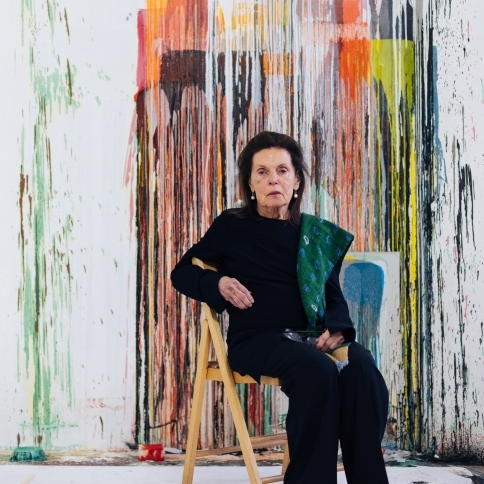 Pat Steir: Paintings will be accompanied by a fully illustrated catalogue featuring an essay by Donatien Grau. Pat Steir came to prominence in the New York art world of the 1970s. Featured in a 1964 ‘Drawing’ exhibition at The Museum of Modern Art, she was known as one in a growing cadre of female artists gaining recognition on the scene. 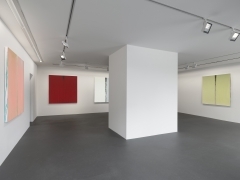 Coming of age on the heels of Abstract Expressionism and the New York School, she made work that navigated the artistic considerations of the history of painting and included iconic symbols and motifs alongside grids of color and journalistic notations that posed questions about representation and the artifice of painting itself. In other distinct bodies of work, she formally quoted art historical predecessors, including the Northern Renaissance master Pieter Bruegel the Elder, Leonardo da Vinci, the Japanese artist Katsushika Hokusai, and Gustave Courbet, before relinquishing literal and figurative forms to focus instead on the relationships between gesture, color, and line. 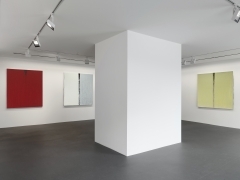 In the decades that followed, Steir worked tirelessly, pushing against contemporary currents and the factions of her peers, to define a cerebral painterly dialect and cement a vision in the language of abstraction that is distinctively her own. Steir’s practice thrives on the tension and interplay of rigor and chance, rooted in a conceptual approach that shares affinities with a younger generation of postmodern artists and those of her Minimal and Conceptual peers. Her close friendships with Agnes Martin, Sol LeWitt, and John Cage were immensely influential in her artistic pursuits of the 1970s and 1980s, and they energized her evolution toward a looser, more performative approach to painting. The procedural system that her mature work adopts reflects her adaptation of ideas and methodologies she discovered in the work of Sol LeWitt and vanguard composer John Cage. Steir developed a simple set of rules which she applied to her process of making: to not touch the canvas, to select her paint colors and dilutions, to pour or throw the paint from the top of vertically hung canvases, to apply each color separately, and to work in layers. Under the influence of Cage, who openly embraced chance, chaos, and accident in his performances and musical scores, Steir established parameters of action, surrendering herself to gravity, and liberating herself from decisions of image-making. 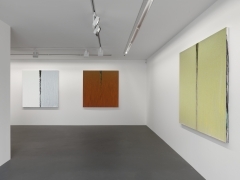 By allowing the chance-directed path of her ‘paint pours’ to express its own materiality, she sought to disassociate paint from gesture and gesture from expression, allowing the image to manifest itself. 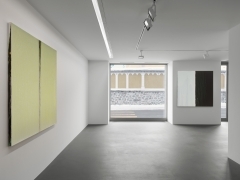 The Split paintings on view in St. Moritz also bridge a spiritual and poetic sensibility indebted to her relationship with Eastern philosophical thought. In her youth, Steir studied Chinese and Japanese art, and similarly shared with John Cage and Agnes Martin, a mindset that celebrated Zen practices and incorporated Buddhist and Taoist ideas. Ceding the control of her pours and allowing nature to dictate her compositions, lush washes and richly colored monochromatic veils become enveloping tableaus. 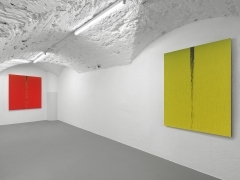 Works such as Orange (2018) and Orange One (2018) flex Steir’s virtuoso expertise and technical dexterity of color. 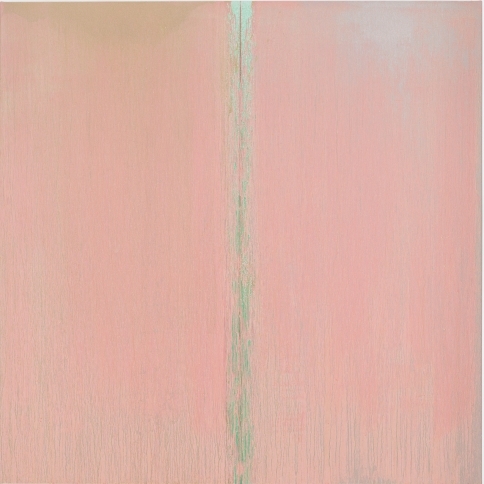 While her painting process yields to spontaneous creation, her deep knowledge of pigments allows Steir to manipulate and play with their masses and weights, predicting which tones will surface and recede. Layering colors one on top of another, these canvases give way to the possibilities of tonal textures and depths, expressing the vibrancy or restraint in the range of a single hue. In White and White (2018), a black fissure cascades down the center of the canvas, bisecting the white ground with energy radiating from its seam. 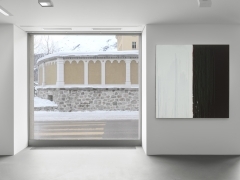 The viewer becomes transfixed by the tonal oppositions created between the two halves: to the left, a cool and serene plane of winter white evokes the feeling of snow; to the right, silver drips reveal themselves as cracks in the layer of white pigment, glistening with radiance in a loose abstract field. The canvas is dually reminiscent of Chinese literati paintings in which visceral and contemplative landscapes emerge, shaped by meditation and experiences of nature retained in the mind. 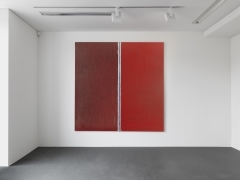 While Steir has employed ‘drip’ and ‘pour’ techniques since the 1980s to varying degrees, paintings such as Red (2018) thrust her late practice to challenging and arousing new heights. Here, the ‘split’ in her canvas is minimal, no longer dividing, cleaving, or severing the composition into two equal expanses of color. 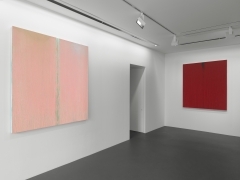 Instead, paint is poured over a broader stretch of the canvas, with thick layers of rich crimson blanketing the surface in a singular expression of raw materiality. 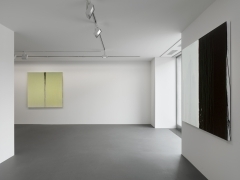 Removing herself further from the image, the marks that permeate Steir’s surfaces evince the sole viscosity and density of the paint rather than the artist’s own hand. 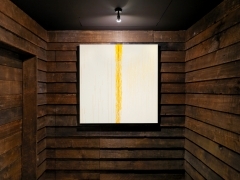 Pat Steir was born in 1940 in Newark, New Jersey. She studied art and philosophy at Boston University and received her BFA from the Pratt Institute in 1962. She is a founding board member of Printed Matter Inc., New York, and the feminist journal, Heresies. 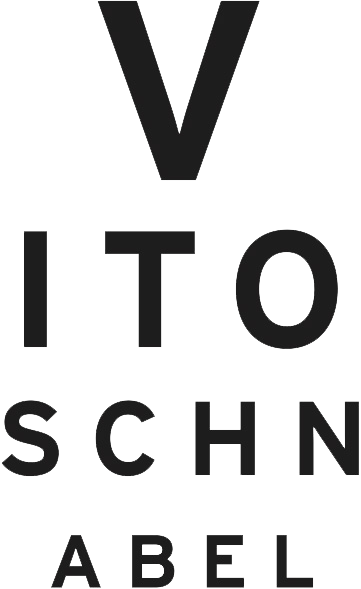 She was also a board member of Semiotext(e). Her work has been the subject of major institutional exhibitions and projects including: the Museum of Art, Rhode Island School of Design, Providence, Rhode Island; Los Angeles County Museum of Art, California; Neuberger Museum of Art, Purchase, New York; Butler Institute of American Art, Youngstown, Ohio; Dallas Museum of Art, Texas; The Baltimore Museum of Art, Maryland; Des Moines Art Center, Iowa; Brooklyn Museum, New York; The Whitney Museum of American Art, New York; MoMA PS1, New York; The Irish Museum of Modern Art, Dublin, Ireland; Centre National d’Art Contemporain de Grenoble, France; Musée d’art Contemporain, Lyon, France; Cabinet des Estampes, Musée d’Art et Histoire, Geneva, Switzerland; Centre d’Art Contemporain, Palais Wilson, Geneva, Switzerland; Kunstmuseum Bern, Switzerland; The Tate Gallery, London; Rijksmuseum, Amsterdam; Gemeentemuseum Den Haag, The Hague, among many others. Steir’s work is held in the permanent collections of the Denver Art Museum, Colorado; Foundation Cartier, Paris; Hirschhorn Musuem and Sculpture Garden, Washington, D.C.; Louvre, Paris; the Metropolitan Museum of Art, New York; The Museum of Modern Art, New York; National Gallery of Art, Washington, D.C.; The San Francisco Museum of Fine Arts, California; The Solomon R. Guggenheim Museum, New York; Tate Gallery, London; Walker Art Gallery, Minneapolis, MN; and the Whitney Museum of American Art, New York, among other institutions worldwide. She is the recipient of grants from the National Endowment for the Arts (1973, 1976) and a Guggenheim Fellowship (1982). She was awarded an Honorary Doctorate of Fine Art from the Pratt Institute, Brooklyn, NY (1991), and received a Distinguished Alumni Award from Boston University (2001). Steir currently lives and works in New York.